Gilead, the worldwide revenue leader in sales of HIV anti-retrovirals--over $9 billion in 2013, in a nearly $20 billion HIV drug sector of the pharmaceutical market--is a Biblically-named (“balm of Gilead,” Jeremiah 8:22 ) and politically very well connected company in Foster City, CA. NIAID director Fauci placed the CEO of Gilead, Dr. John C. Martin, on his “advisory council” over 14 years ago, in March 2000, ten months before Gilead’s then Board Chairman Donald Rumsfeld resigned to be in President George W. Bush’s cabinet as Secretary of the Dept. of Defense. Several years into Rumsfeld’s tenure, the DOD stockpiled millions of units of Gilead’s then cash-cow drug, TamiFlu, which since has been judged as nearly or totally useless as a flu palliative. When TamiFlu receded as Gilead’s big money-maker, the company’s extremely expensive ($1,000 to $2,500 a month) single pill, combination drug anti-retrovirals, beginning with Viread, then Atripla, Truvada, and Complera, and now Stribild, have helped catapult the corporation’s stock price from the low $20s in early 2012 to approaching $110 by September 2014. In a position not even requiring U.S. Senate confirmation, Fauci has amassed informal bureaucratic power and influence over HIV-AIDS medical science research, similar to the clout amassed over decades by the late FBI Director J. Edgar Hoover. Fauci has cultivated a career as the media’s face of federal AIDS policy, with the help of an aggressive NIAID public relations effortin his behalf. The billions in NIH/NIAID research dollars he has directed to HIV-AIDS have farexceeded outlays for diseases and conditions that take many more lives and cause much more illness. The son of a Brooklyn, NY pharmacist, the 73-year-old Fauci has aggressively advocated immediate drug treatment of HIV positives, whether or not they have AIDS-defining conditions, or any disease at all, as well as drugging HIV negatives for PrEP. 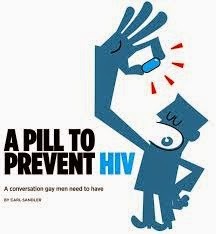 To understand, by analogy, the danger of the PrEP concept, suppose a physician were to give a healthy gay man a standing prescription for daily use of an anti-biotic pill to “protect” him from exposure to gonorrhea on trips to a bath house and from multiple anonymous sexual hook-ups without condoms. Such a drug would certainly damage the intestinal microbiome over time, wiping out many of the trillions of “good gut bacteria” responsible for our first-line of defense from pathogens, our innate immunity, which works together with our adaptive immune system. Use of anti-biotics for “prophylaxis” would most certainly be termed medical malpractice, violating the physicians’ oath to “first, do no harm.” Prescriptions for daily use of Truvada, with its well assessed short and long-term adverse effects, constitutes the same malpractice. mis-characterizing Truvada’s toxicity, and leading individuals to its harmful use. For research and all other aspects of HIV-AIDS funding, federal government spending on“HIV-AIDS” has been over $400 billion since 1981, with research outlays dwarfing those for other disease and illness. For example, according to the Fair Allocations In Research Foundation, in 2013 research spending per number of deaths calculated to $2,562 for cardiovascular disease; $16,010 for diabetes; $5,683 for Alzheimer’s; $7,342 for Parkinson’s; $17,308 for breast cancer; $10,146 for prostate cancer; and an amazing $329,576 per death attributed to AIDS (the CDC acknowledges its figures for AIDS deaths are of individuals with AIDS, not necessarily from AIDS.) Except for breast cancer, with its aggressive “pink lobby” garnering $3,401 per patient, spending per HIV-AIDS patient has out-paced other single diseases by orders of magnitude. As examples, spending of $2,818 per HIV-AIDS patient contrasts with $25 per cardio patient; $47 per diabetes patient; $85 per Alzheimer’s patient; and $150 per prostate cancer patient. The $400+ billion spending has also included scores of billions for the extremely expensive “anti-retroviral treatments,” with federal subsidies that accrue to drug companies when various programs for patient medicine, like Medicare, Medicaid and the AIDS Drug Assistance Program (ADAP,) pay virtually any price Gilead and other drug companies demand. The willingness of federal lawmakers to massively subsidize the drugs allows the pharmaceutical companies to keep prices charged to Americans hugely above the costs to produce the chemotherapy and what they charge customers in other countries. Despite the massive spending, the government’s own figures, from the Centers for Disease Control and Prevention (CDC,) reveal that the number of HIV-conflated-with-AIDS “cases” has remained steady at about a million-or-so each year for over two decades, with an also steady number of about 45-50,000 new “positives” counted each year. That consistency is remarkable--or, candidly put, simply not credible--for a claimed “epidemic,” which follows a pattern of rising, peaking and then falling--a bell curve. Deaths attributed to AIDS or “HIV disease” in the U.S. have fallen to fewer than 15,000 yearly, with many of those clearly caused by adverse health effects of long-term use of toxic anti-retroviral chemotherapy, such as the drug Truvada, being touted for PrEP. Current deaths related to anti-retroviral induced illness are significant, but are far fewer than the uncounted scores of thousands who succumbed to lethally high doses of AZT and other “nucleoside analogs” in the late 1980s and early 1990s, but were said by the CDC to have died “with AIDS." However, the CDC itself acknowledges, and this is an exact quote from a CDC web page (my emphasis added): “The deaths of persons with an AIDS diagnosis can be due to any cause--that is, the death may or may not be related to AIDS." Why? It’s about money. A local AIDS agency gets thousands more dollars from the federal government when it counts a new “positive” and when it records a death of someone with HIV. Money is why the District of Columbia has so aggressively pursued widespread testing of all its adult residents. Just how aggressive, I learned, when I encountered a testing van from the DC government-funded “Carl Vogel Center” in my local Safeway supermarket parking lot in August 2012, paying obviously poor African Americans $15 to take the anti-body test--with one woman telling me she had taken it multiple times for the money. Many of the decisions to spend scores of billions of research dollars on a theory never properly vetted in an honest peer review process beginning in the mid-1980s can be tracked to one un-elected medical science bureaucrat, America’s de facto AIDS czar, Dr. Anthony Fauci. Director of the National Institute of Allergy and Infectious Diseases (NIAID) since November 3, 1984, Fauci has never approved grants for studying anything but the simplistic single pathogen theory of acquired immune deficiency syndrome, the amorphous disease by ever-changing U.S. government (CDC) definition. From the beginning of his tenure, he ignored the “multi-factorial” hypothesis for immune deficiency, which includes consideration of the effects of (1) multiple and repeated exposures to old disease pathogens in brief time frames, during the intimacy of sexual activity, with subsequent over-prescription of microbiome-damaging, and thus immune suppressive, anti-biotics; (2) frequent ingestion of toxins, including “poppers” (nitrites), addictive use of alcohol plus controlled substances like heroine, cocaine and amphetamines, but also the so-called “anti-retroviral treatments” themselves, beginning with the life-threatening AZT in the mid-1980s; and (3) chronic and acute stress that weighed heavily on often closeted gay urban males, many not out to their families or friends, and attacked by the emerging religious right in the late 1970s and early 1980s, resulting in chronic release of well-assessed immune-suppressive stress hormones like cortisol. Fauci embraced what can be termed a 19th Century-style, single-germ theory for a complex web of factors that collapsed the immune systems of a subset of gay men, beginning in the early 1980s. Born in December 1940, the NIAID director’s view of chemicals for healing AIDS victims, by attacking a single germ, may well have been influenced by his upbringing as the son of a Brooklyn, NY pharmacist. fighting cells are among those that evolved in humans as part of “adaptive immunity” protection from invading pathogens, some capable of causing serious illness, some just harmless passengers. The “CD4" designation for such cells was only introduced in 1984, the very same year the U.S. government proclaimed these cells were being affected by a retrovirus and their numbers in a host’s peripheral blood were used as a clinical marker for AIDS. Early AIDS research studied the theoretical pathogenesis of what Dr. Luc Montagnier and Dr. Robert Gallo both claimed to have “discovered” (identified) after a failed decade of investigations trying to relate retroviruses to cancer. In fact, no disease before and no disease after the amorphous AIDS has been credibly claimed to be caused in humans by a retrovirus. Montagnier labeled his the “Lymphodenopathy Associated Virus” (LAV) and Gallo dubbed his the “Human T-cell Lymphotropic Virus-III (HTLV-III.) Note that neither name uses any form of the word “immunodeficiency.” In fact, in seminal papers Montagnier and Gallo published, respectively, in the journal Science in May 1983 and May 1984, they and colleagues did no more than assert (see the paper abstracts linked above) that their claimed viruses “may be involved” with or “suggest” a possible cause of what was being described by the U.S. Centers for Disease Control (after July 1982) as AIDS. and peripheral blood) by a retrovirus. Still other research has been funded over the years for developing a vaccine against the purported pathogen. All of the research has yielded thirty years of failed effort to develop a “cure” or produce a vaccine. Much of the early research financed by the NIAID/NIH and other units of the Dept. of Health and Human Services (to which the NIH, FDA and CDC are all attached) centered on the efficacy of ARVs in those who were “HIV positive” and had actual presenting illnesses. Research then shifted to those who theoretically could have immune deficiency based only on CD4 T-cell counts under 200, but with no illness, the latter being a definition of AIDS arbitrarily devised by the CDC and made effective January 1, 1993. That definition was designed only for “case surveillance,” a short-cut for counting potential cases of actual illness, but not as clinical evidence of AIDS for treatment purposes. 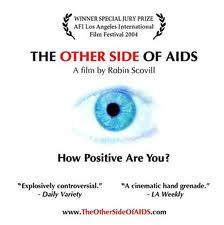 But it very quickly led frightened, non-ill HIV “positives,” with no AIDS-defining illnesses--and in many cases antibodies from something other than HIV--into taking chemotherapy with toxic adverse effects, the so-called “side” effects. The response was similar to that which occurred beginning in the 1980s when victims of “positive” anti-body assays immediately began taking high doses of toxic AZT and other nucleoside analogs, even though they had no presenting illness, leading to thousands of anti-viral drug-induced deaths. 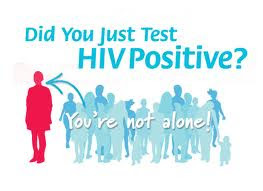 By the last years of the first decade of the 21st Century, Dr. Fauci had jumped on the “test- and-treat” bandwagon, even after Dr. David Ho’s “hit hard, hit early” (with ARVs) theory of the mid-1990s had been discredited among mainstream HIV-AIDS investigators like Dr. Jay A. Levy of the Univ. 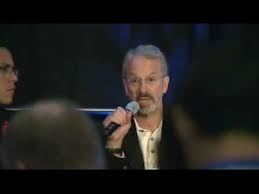 of California-San Francisco (sometimes called the “third co- discoverer of HIV.”) Author of the basic, orthodox textbook, “HIV and the Pathogenesis of AIDS, 3rd Edition,” Levy warned in 2001, and still cautions, against “early intervention” with toxic chemotherapy, before HIV positives present with any illness, as he did in an interview with me four years ago. Even HIV “co-discoverers,” Robert Gallo and Luc Montagnier, were critical of Ho’s theory. Almost all major drug companies are named after founding families, e.g., Bayer, Glaxo- Smith-Klein, Merck, Johnson & Johnson, Bristol-Myers Squibb, Abbott, Boehringer Ingelheim. Gilead’s use of a heavenly-inspired name is testament to its marketing savvy. The earthly, publicly-held corporation, Gilead Sciences, Inc., has long been politically tied to the Republican Party, as well as to Dr. Fauci, who named its CEO, Dr. John C. Martin, to his NIAID advisory council over 14 years ago, in March 2000. Donald Rumsfeld was chairman of the operating board of Gilead from 1997 to January 2001, when he resigned to accept a position in George W. Bush’s cabinet as Secretary of the Dept. of Defense (DOD.) Several years into Rumsfeld’s tenure, the DOD stockpiled millions of units of Gilead’s then best-selling TamiFlu, now regarded as a nearly or completely worthless flupalliative. In addition to Rumsfeld, who had been on Gilead’s board since 1988, also on the board have been Ronald Reagan’s Secretary of State, George Shultz; George H. W. Bush’s Special Trade Representative, Carla Hills; and the wife of former California Republican Gov. Pete Wilson. Gilead’s army of political influence peddlers were bestowed with millions of dollars in company stock and directors’ compensation. After the mid-2000s, HIV ARVs displaced TamiFlu as Gilead’s cash-cow drugs. There were four major “Phase III” PrEP clinical trials, with at least 2,000 and up to 5,000 test subjects each, between 2007 and 2011, the results of which or the early termination of which were reported before the FDA decision in 2012 to allow Truvada for PrEP. The third phase of a drug trial is supposed to: (1) confirm drug efficacy (does it do what it claims? ); (2) monitor adverse effects to determine short-term and over-time safety, which is impossible if the duration of the trials is brief, as were the PrEP Phase III trials; and (3) check to see if subjects will adhere to treatment (take the drug as prescribed.) 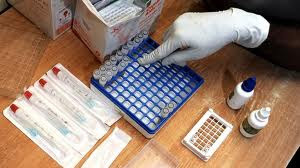 Phase I and II trials commonly make use of small groups of test subjects, from a few score to several hundred, to initially evaluate potential for efficacy, determine a safe (non-sickening, non- lethal) dosage range, and identify immediate or short-term adverse effects. 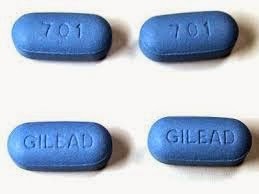 Two halted and failed clinical trials were all but ignored by the Food and Drug Administration when it approved, for PrEP, the drug Truvada, the test chemotherapy donated by Gilead in both trials. They were: FEM PrEP, 2,120 heterosexual females, all HIV negative, 100% Third World/African; and VOICE PrEP, 5,029 heterosexual females, all HIV negative, 100% Third World/African. Two purportedly “successful” clinical trials served as the basis for the FDA’s approval of Truvada, OK’d in the U.S. for so-called “at risk populations”--gay males, sero-discordant heterosexual couples, plus others with vaguely defined possible risks for infection. In one of the trials, there was also a cohort given Viread, an older drug also donated by Gilead, but not sought by Gilead for PrEP approval by the FDA, probably because Viread would lose patent protection in 2016, five years before the ultra-expensive Truvada, giving Gilead nine years to cash in on Truvada for PrEP as well as its continued use to “treat” HIV. 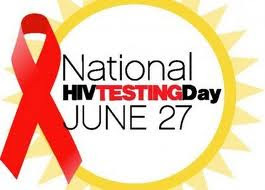 The two “successful” trials were designated as: Partners PrEP, 4,747 sero-discordant couples, one negative, one positive, 100% Third World/African heterosexuals; and iPREXPrEP, 2,499 gay (including bi-sexual) males, all HIV negative, two-fifths prostitutes, nearly all Third World--more than 50% of them in Peru, with others in Ecuador, Brazil, Thailand and South Africa, and fewer than one-tenth in San Francisco and Boston. The American 9%, about 225 of the 2,499, obviously were added so investigators could claim at least a few subjects in the U.S., from where the trials were funded and where the FDA and the CDC would eventually be asked to approve and endorse Truvada for PrEP for Americans. with two abstentions. Only two committee members voted “no” on all three propositions, Dr. Elaine H. Morratio, an assistant professor at the Univ. 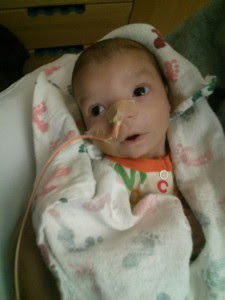 of Colorado-Denver, and Dr. Lauren V. Wood, MD, a Captain in the U.S. Public Health Service. Their reasons for voting “no” can be found on pages 514-517 of the transcript of the meeting. Wood’s concerns went directly to the fact, as cited above, that only a handful of Americans were involved in the studies. She pointed out that only 117 gay African American men were in the iPREX study, out of a total of only 225 Americans of all races, included among the 2,499 subjects in iPREX--making African American gay males only four-and-a-half percent of the study subjects. And, Wood observed, not a single African American woman was included in the Partners trial, which was comprised of 100% Third World subjects. She noted that Americans of African heritage are those considered by the CDC “most at risk” for HIV in the United States. And, she said, “I have significant safety concerns because it's well-known that African Americans have an extreme disproportionate risk for end-stage renal disease, chronic kidney disease, and dialysis.” Renal (kidney) problems are among the most serious adverse (“side”) effects seen over time in those using Truvada. Both the Fem-PrEP and VOICE PrEP trials were halted early when investigators began to see no difference in sero-conversions between the Gilead-drugged cohorts and the placebo cohorts. In halting the trials, investigators focused on poor adherence (some of the paid subjects apparently didn’t tell the truth about taking the drugs.) Of course, adherence to the often nauseating and diarrhea-causing drugs was one of the things the trials were supposed to assess. 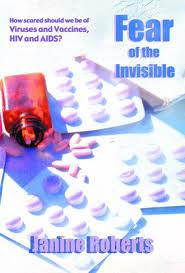 The study proposals were written with language to assure that, if the investigators were not seeing “protection” from the drugs, they could halt the trials by claiming poor adherence--though major adherence problems were also seen in many test subjects in iPREX and Partners, and those trials were not halted. Before the Fem-PrEP study was halted, 33 of the 1,024 subjects in the Truvada cohort sero-converted, compared with 35 among the 1,032 subjects in the slightly larger placebo cohort, a statistically meaningless difference. Before the VOICE PrEP study was abandoned, 94% in the 994 Truvada tablet cohort, 94% in the 1,002 Viread tablet cohort, and 94% in the 1,008 placebo tablet cohort did not sero- convert--demonstrating absolutely no difference in drugged or un-drugged subjects. The study also used a Viread vaginal gel (cohort of 1,003) and a placebo gel (cohort of 1,003.) There was a statistically insignificant (one percent) difference, with 94% in the Gilead gel cohort not sero-converting and 93% in the placebo gel cohort not converting. 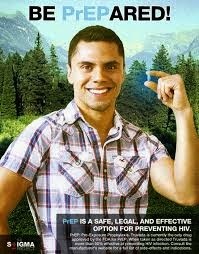 In addition to stacking the research deck by shutting down the two multi-million dollar studies that weren’t yielding pro-PrEP results, investigators in both the gay male iPREX and sero-discordant heterosexual couples Partners studies used calculation techniques that grossly over-stated purported “protection” by Truvada in iPREX, and by Truvada and Viread in Partners. 2,499 total subjects. They then divided the remainder by the number of placebo sero- conversions, yielding a specious 44% “greater protection” with Truvada in the iPREX trial, and even more spurious results in Partners, in which the math technique produced 67% “greater protection” in the Viread cohort and 75% “greater protection” in the Truvada cohort. To understand why the results were specious--that they looked deceptively impressive-- suppose there were two cohorts of 1,000 each in a clinical trial, one getting drugs and the other placebos for 18 months. Then suppose 1 subject converted in the drugged group and 3 in the placebo cohort, and investigators decided to end the trial at that point. Subtract 1 from 3 and divide the remainder by 3, and you would get a seemingly impressive 67% “greater protection” with the drug. Then, suppose you let the trial run 1 more month, and one more drugged subject happened to sero-convert, but no more did in the placebo cohort. If you chose to stop the trial then, the “protection” would drop by half, to 33%. Then, to see even more clearly how the “results” were subject to chance and to rigging, in terms of time length, divide 999 (drugged, and not converting) by 1,000, and 997 (placebo, and not converting) by 1,000, and you would have the extremely un-impressive results of 99.9 percent not converting in the drugged group and 99.7 percent not converting in the placebo group. A two-tenths of one percent difference, rather than the 67% difference using the creative math. Buried deep in the iPREX report in the New England Journal of Medicine (NEJM) was a claim of over 90% “protection” in a few Truvada subjects who were said to faithfully adhere to the drug, that is, who took it as prescribed--an apparently unintended acknowledgment of the non-real world methodology of a flawed experiment on humans. The 90%+ claim took on a life of its own, and is now the figure most commonly used in popular media reports about Truvada and PrEP--even though the formal “Results” summary section at the beginning of the iPREX report in NEJM cited only the spurious 44% protection claim. An honest way to calculate results would have been, as in the above hypothetical example, to divide the number of sero-conversions in each cohort by the number of subjects in each cohort. In iPREX, that would have yielded 2.9% converting in the Truvada cohort and 5.1% in the placebo group--a slight 2.2% difference, which could have been accounted for by chance and the brief duration of the trial. Put another way, that means 95% of the placebo cohort did not sero-convert, contrasted with 97% not converting in the Truvada cohort. Instead, the investigators, seeking confirmation of their self-fulfilling prophecy, claimed a 44% “better” difference for Truvada. But a less than 50% difference between the two cohorts suggests a significant failure of “protection” for the drugged subjects. In Partners, 99% of both the Truvada and Viread cohorts did not sero-convert, contrasted with 97% of the placebo cohort--a 2% difference. The creative figuring became the “evidence” used by the FDA to grant Gilead the right to sell its chemotherapy for a new use in not ill and not positive men and women. connections with Fauci at NIAID; with an FDA anti-viral advisory panel and the full FDA compromised by Gilead paying for its fast-track approval; and with a compliant third agency, the CDC, accepting the biased research and the pay-to-play FDA approval process, resulting in the U.S. Public Health Service action on May 14, 2014, setting guidelines and urging physicians to prescribe Truvada for negatives in the so-called “risk groups.” It amounted to an official government imprimatur for an extremely profitable drug, a rubber stamp of approval derived from a corrupt process, that has helped fuel Gilead’s sky-rocketing stock price, from the low $20s to almost $110 per share, between January 2012 and September 2014. Though members of the advisory committees are supposed to file statements of any potential financial conflicts of interest, those disclosures, by law and regulation, are not available to the public. The only way a possible conflict is disclosed is if the FDA grants a waiver to the committee member for a potential conflict and allows him or her to sit in judgment of a filing by the company with which the potential conflict exists. human guinea pigs in the other three trials were Third World people, despite the fact the trials were financed from the U.S. and the claimed results were used to justify decisions by the FDA and CDC for U.S. citizens. Yet such malpractice in HIV negatives has now been endorsed by the NIAID, the FDA and the CDC, all for the benefit of one politically connected drug company. Following is a chart prepared by the author in May 2014 summarizing details of the four clinical trials described above, and a WebMD.com summary of serious short and long- term adverse effects of Truvada use. 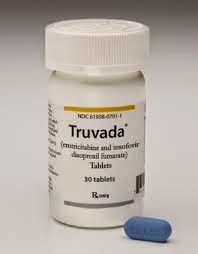 Note: Truvada consists of 300 milligrams of tenofovir disoproxil fumarate (of which 245 mg is tenofovir) plus 200 milligrams of emtricitabine. Re-printed verbatim from WebMD.com site, accessed September 14, 2014. 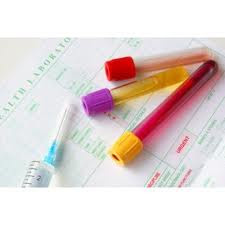 Some people with HIV infection may experience worsening of a previous medical condition (such as an old infection) as their immune systems improve, or develop new conditions because their immune systems have become overactive. This reaction may occur at any time (soon after starting HIV treatment or many months later). Tell your doctor right away if you have any serious side effects, including: unexplained weight loss, persistent muscle aches/weakness, joint pain, numbness/tingling of the hands/feet/arms/legs, severe tiredness, vision changes, severe/persistent headaches, signs of infection (such as fever, chills, trouble breathing, cough, non-healing skin sores), signs of an overactive thyroid (such as irritability, nervousness, heat intolerance, fast/pounding/irregular heartbeat, bulging eyes, unusual growth in the neck/thyroid known as a goiter), signs of a certain nerve problem known as Guillain-Barre Syndrome (such as difficulty breathing/swallowing/moving your eyes, drooping face, paralysis, slurred speech). Tell your doctor right away if you have any serious side effects, including: mental/mood changes (such as depression, anxiety), loss of appetite, stomach/abdominal pain, pink/bloody urine, change in the amount of urine. Changes in body fat may occur while you are taking this product (such as increased fat in the upper back and stomach areas, decreased fat in the arms and legs). The cause and long-term effects of these changes are unknown. Discuss the risks and benefits of treatment with your doctor, as well as the possible use of exercise to reduce this side effect.